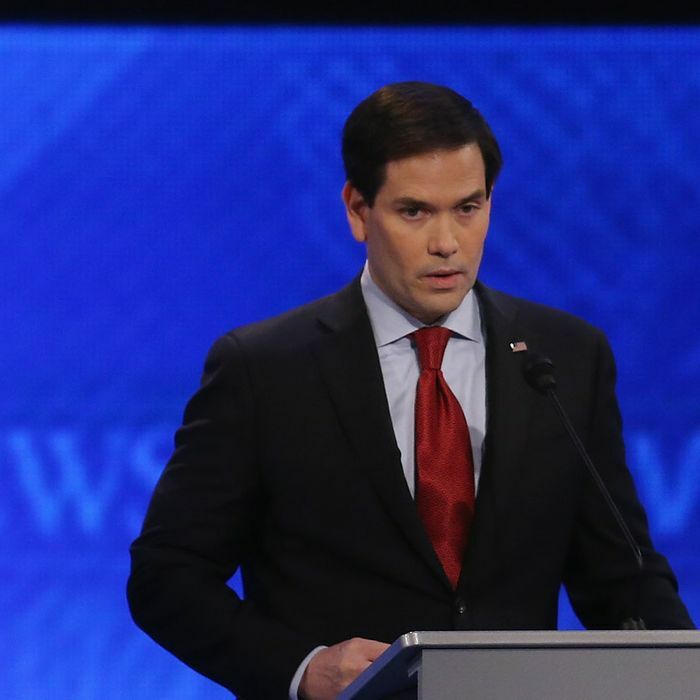 Most self-destructive debate performance since Quayle ’88 and J.B. Stockdale ’92: Rubio. I've watched Rubio for a long time, always thought that critique of him as a talking-points robot was way overblown. But oh dear. Finally watched the Rubio-Christie clip. (Was at school event.) Holy cow. Much worse than "oops." Will GOP establishment stick with him? Fox News post debate anchors in deep depression over Rubio performance. It's hilarious.